Today ONLY - Prime Members will Save Up to 50% on Prime Exclusive Kid's and Baby Clothing $4.25 - $24.50. 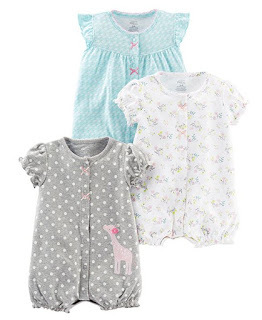 I just LOVE the Girls' 3-Pack of Snap Up Rompers from $13.99. Shipping is free with Amazon Prime or your $25 purchase. Not a Prime Member? Start your FREE Trial NOW!